A few days ago in a discussion on Facebook’s PowerShell Group, I realized the many people don’t understand how to Tokenize or Use PowerShell Abstract Syntax Tree to understand your PowerShell scripts better. I think the reason behind this unawareness is mostly because it doesn’t affect your ability to write better scripts, but you’ve to agree it helps to understand how PowerShell engine understands your script on the lexical level, hence this quick blog post. First, your script is tokenized and converted into meaningful units (Lexical units) and then converted into a Tree after parsing each token, which is called a Parse tree. That looks something like in below image and It contains all the Tokens of the script. Parse tree helps the execution engine understands how to execute the script, I mean in which order or sequence the execution engine should evaluate the expressions etc in the script. What is Abstract Syntax Tree? Following is an image of Abstract syntax tree. Finding Comments, Functions or variables in a script: Following is a link to my one of my old blog posts where I used Tokenization to extract comments from PowerShell script . Hope You’ll find this article useful, thanks for reading! Interesting distinction of lexical analysis and syntactic analysis. Some of the token types are different from what I’m used to. 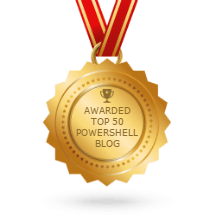 Were you using PowerShell Core ? There are many many more use cases for a parsing API, for example a tool like PSScriptAnalyzer wouldn’t be possible without the AST parser. I’m using Powershell v5.1 and I agree tools like PSScriptAnalyzer won’t be possible without that!